Diptyque was founded in 1961 by three friends, Desmond Knox-Leet, Christiane Gautrot and Yves Coueslant, who received training from Ecole des Beaux Arts. Yves Coueslant’s connection with Vietnam produced Diptyque’s sandalwood based fragrance, Tam Dao. Do Son, named after a resort on the coast of Vietnam, southeast of Hai Phong City, is another Vietnam inspired creation, to be released in October of 2005. Do Son is an airy tuberose that is reminiscent in character of L’Artisan Parfumeur La Chasse Aux Papillons. Delicate green note is weaved through hot tuberose, thus lightening the effect and creating a fragrance that is more a delicate tuberose mist than a heady veil. 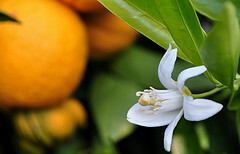 Sweet orange blossom with its crisp and gentle touch rounds out the edgy elements of tuberose. Iris unfolds in the heart of the composition amplifying the association of the fragrance with spring flowers and green sticky stems poking through the earth. Misty and delicate, Do Son is a fragrance to be sprayed, rather than dabbed. Like some other Diptyque florals, notably Ofresia, it is verging on evanescent, however just when I think that I cannot smell anything, a wave of warm sweetness rises up again. The effect is feather light, with the composition clinging to the body like a transparent chiffon scarf. Although I have to admit that Do Son is a rather linear composition, it has an immediate uplifting effect on me. For those who tend to avoid tuberose, this will be a pleasant surprise, because Do Son’s tuberose is rendered as delicate and light, two words are hardly applicable to most tuberose focused fragrances. As for the relationship between tuberose and Vietnam, it is a flower that is used frequently during religious ceremonies. Moreover, it grows well in the cooler months, when most other plants are scarce. If there is a specific connection with Do Son resort, I would love to know. 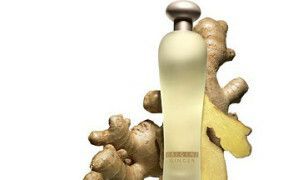 Notes include tuberose, rose, daffodil, orange blossom, iris, and white musk. It will be available at Aedes and Beautyhabit starting October 1st. Diptyque Do Son advertisement (thanks to Cedric). parislondres: Great review and I need to test this soon. 😉 As you know, I have been invited on the 29th. and lots of flowers and perfumes…. Ina: Sounds like it’s worth a try! Your descriptions are always beautiful, dear! Sisonne: Dear V, Though I didn´t know it before: Happy birthday to you 🙂 ! I hope you have a wonderful day! Do Son sounds lovely, is it very similar to L´Artisan La Chasse? Tara: Sounds wonderful, I can’t wait to try it! Thanks so much for the review. BoisdeJasmin: Dear C, no, it is not very similar to La Chasse, but it has the same character–light, gauzy floral. BoisdeJasmin: T, that’s interesting nevertheless. Often the role of flowers in the religious practices is fascinating (their symbolism, etc. ), which is why I am probing. Besides the desire to understand the relationship between Do Son and tuberose. Thank you for sharing. Anya: First of all, Happy Birthday, V — spray yourself silly with every tuberose perfume you have. Nothing beats excess like exceeding excess! Of course, now I must try this perfume. Ah, tuberose, the perfect Libra flower. That said: hmm – about ti growing in Vietnam in the cooler months. I dare say Vietname is like Miami, and tuberose grows here in the summer. The little nip of cold causes the leaves to die back. The tuber needs a little chill to initiate the blossom months later (like apples and peaches need a chill period in the winter, or they won’t bloom and bear.) Here, mine are over and done with by late June. Marlen: First of all, Happy Belated Birthday! Joytika: Wow, I have not visited your site for a few months now, but again, an amazing description of a beautiful fragrance. Normally, tuberose is not a scent I enjoy. Yet, I do like Do Son. I think you captured it: it is much lighter and more delicate than your average tuberose-based scent. Yet, it is lingering, this is not a scent that evaporates and disappears quickly. Victoria: Did you get the EDT or EDP?